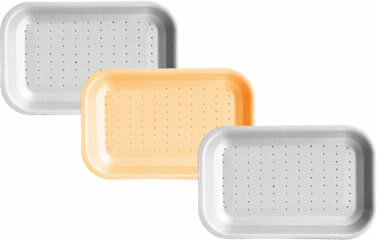 PAL foam hinged lid containers offer convenience and simplicity. Their secure closure improves handling and minimizes accidental openings. The EPS material provides high insulation qualities making them ideal for transporting and storing hot or cold foods. Food deliveries or takeaway are made easier using them. Three different types of menu boxes are available as well as one burger box, featuring one, two and 3 compartments. PAL foam hinged lid containers are available in white, beige and black.